På HR Sverige drogs för en tid sen en diskussion om hur svenska personalvetarutbildningar såg ut ur ett internationellt perspektiv. Den frågan födde en idé hos mig: Vi försöker ta reda på det, vi letar upp HR-människor runt om i världen och hör hur de ser ut hos dem, hur de ser på frågeställningar som vi har. 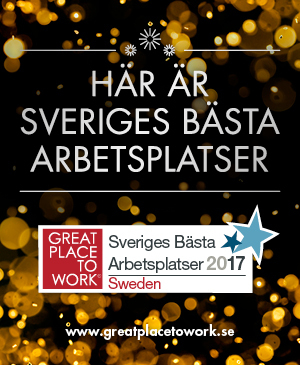 Först ut är Victorio Milian som jobbar på H&Ms HR-avdelning i USA som svarar på lite frågor som jag ställde. Do you know if there´s any dedicated HR-program to take at the university? Yes; there are plenty of University level Human Resource programs in the United States. Most are taught at the Master’s level, which is above a typical University degree. However, it’s important to point out that many HR practitioners in the US do not have a degree in Human Resources. For example, I don’t and yet I’ve been in HR for 5 years! Whats the biggest challenge for HR as you see it? That’s a great question. I believe the main challenge for Human Resources in the United States is ”believing in yourself.” HR professionals love to talk about how business leaders don’t respect the work that they do. The phrase you hear a lot is ”getting a seat at the table.” What this means is that HR wants to be a part of the same group of leaders that get to make strategic decisions for the good of the company. HR wants to have a seat at the boardroom table. Yet we don’t demand that they respect us and our work. It’s a distraction that doesn’t help anyone, least of all HR! In Sweden HR is a support function that gets a lot of attention when times are good and gets less attention when times are bad. Is it somewhat the same in US? Or do you look at it more strategic and see HR as an ”value” creator? It’s not so different here in the United States! As I mentioned before, it’s an issue of whether or not the organization and HR professional believing that what they do is a benefit or obstacle. Overall, I get the impression that more companies are recognizing that HR professionals are able to provide strategic value. It ultimately depends on the individual company and its senior leadership. Sweden has a very strong labour law and a strong union. I guess this looks a little bit different in the US? Labor law in the United States is a bit different. There are plenty of laws on the books, both on the federal and state level. These laws cover a variety of topics, such as wages (the Fair Labor Standards Act), health and safety (the Occupational Safety and Health Act), as well as discrimination (the Civil Rights Act of 1964 is the most well known). Most of them don’t differentiate between union and non-union employees. However, there are a few important ones to note when it comes to the concept of unions in the United States, such as the Norris-LaGuardia Act, the Wagner Act and the Taft-Hartley Act. While there are plenty of unions in the United States, membership in them has gone down. With the Obama presidency there’s a feeling that unions may grow again in influence. To fire a person (in other cases then lack of work) is almost impossible here. The only ”good” reason to letting someone go immediately is that they have been caught stealing. If they have problem with drinking, gambling etc., the employer have to help them first and if that isn´t succefully you can fire them. Same in US? Yes and no. In the United States there is the concept of ”at-will” employment. Basically, it means that there is no contract between the employee and a company, so either party can part ways at any time for any reason. Technically, a company does not need a reason to let someone go, or even to provide notice. At-will doesn’t apply in all organizations; for example, if there’s a union present then the collective bargaining agreement (essentially the contract between the union and the company) usually outlines specific procedures and justification for employee termination. However, just because you can fire someone for no reason doesn’t mean that you should! An employee, if they felt they were terminated unfairly (because of discrimination, harassment, etc. ), can go to a number of organizations to lodge a complaint or initiate a lawsuit. Remember the labor laws I mentioned earlier? Agencies were created to enforce these laws and to provide a way for people to seek remedies for employment actions taken against them. This can have a huge impact on a company, from fines, to criminal charges, to negative publicity. Most companies seek to terminate an employee based on their job performance and only after providing him/her several opportunities to improve. This way companies can show outside agencies that they tried to turn the person’s performance around before letting them go. It’s also a way to protect the company’s investment. After spending time, energy, and money to recruit and train someone, why turn around and fire them if they have a chance to turn things around? The short answer is that I ”fell into it,” meaning it was accidental. Human Resources was something I did while being a manager in the stores I worked at. Someone had to do the recruiting, paperwork, new hire orientations, etc. so I did it. I liked it and when given the chance to do it full time (approximately 5 years ago) I took it. I’ve been blessed to work in a variety of different roles, so the work is almost never boring! Vill du att vi frågar något speciellt? Just nu är jag på jakt efter HR-folk i öst som kan svara på liknande frågor. Maila mig dina frågor så ser jag till att ställa dem! 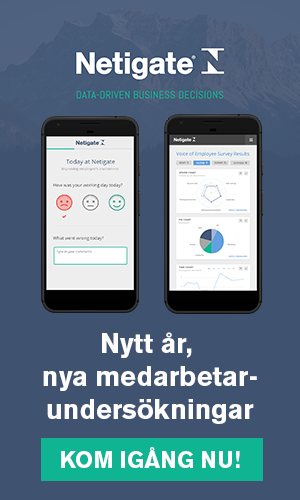 Väldigt intressant och ett härligt initiativ.